Oraculum ... , orchestrated Glossolalia. JINMO says that Pythia made him do so it. is edited, arranged and unified by computer. This is a record of the cutting edge in the impromptu guitar performance. 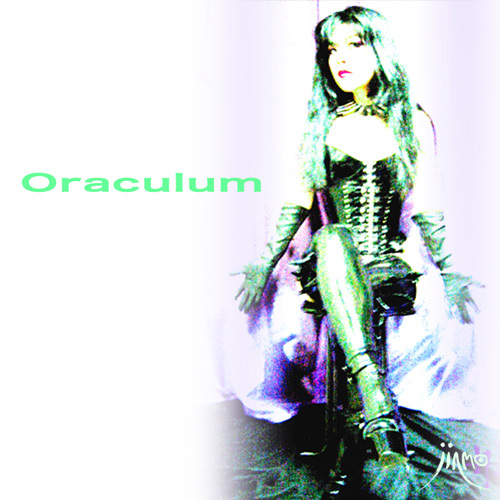 Oraculum ... , the divine revelation of Pythia. located on the slopes of Mount Parnassus. giving her a prominence unusual for a woman in male-dominated ancient Greece. The Delphic oracle was established in the 8th century BC. when the emperor Theodosius I ordered pagan temples to cease operation. and authoritative oracle in the Greek world. Plectics system is this album. and sang the songs of Oraculum for me.